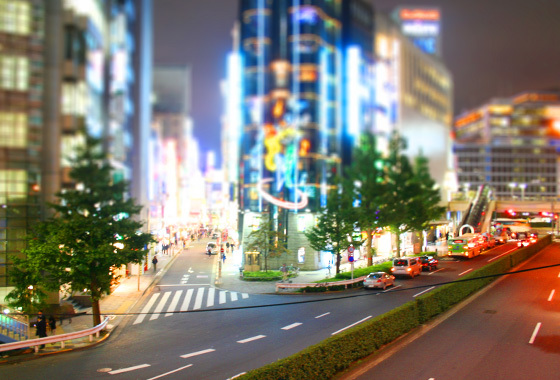 Inspired by the awesome Uniqlo Calendar and a recent post over at Mikes Blender I decided to have a go at photoshopping some of my pics to mimic a tilt-shift lens effect! Above we obviously have Shibuya Crossing, taken from an overpass inside the station, this shot works pretty well as it’s taken from a nice high angle. 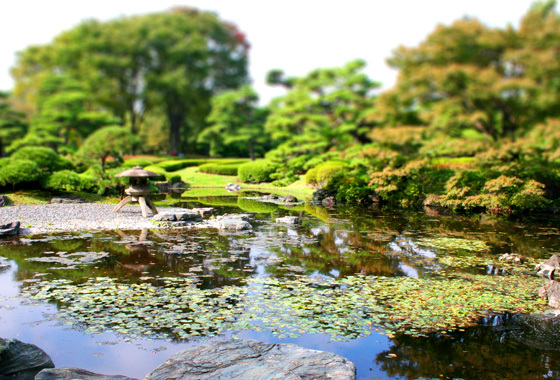 Next is a shot of Ueno, looking down towards the lake. Again it works quite nicely being a downward shot, the sparse scattering of people is nice too. 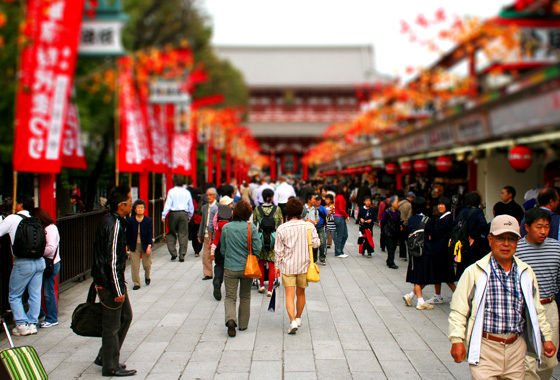 I decided to try some ground-level shots to see how the effect changed them, I like how this shot of Asakusa really draws your attention to the foreground now but that huge temple is still very much part of the shot. Again a low-level shot, blurring the background and ramping up the contrast really add to the visual goodness in this shot! 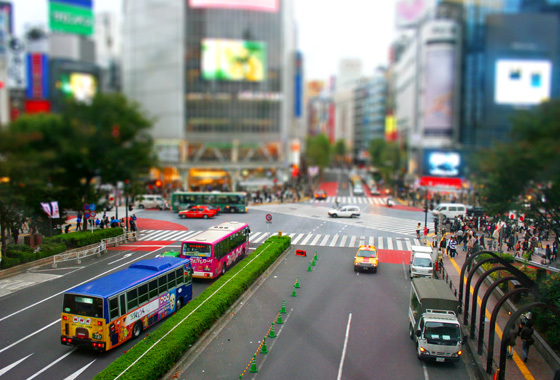 Last but not least is this shot of Shibuya Bus Station, not the first time i’ve used this shot but the tilt-shift effect really changes it I think! 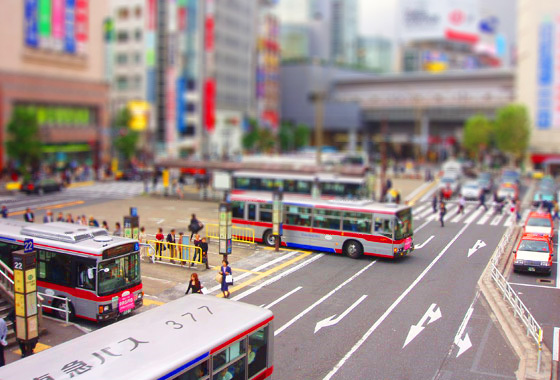 the buses look so bright and perfect – reminds me of toys I had when I was a kid! Hope you enjoyed these pics, this is the tutorial I used so give it a try yourself! 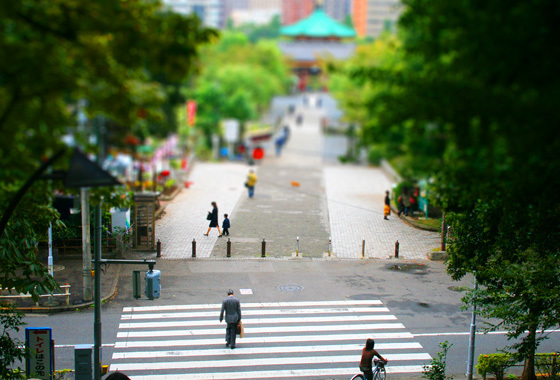 6 Responses to Tilt-shift Tokyo! I might steal a few of these for a future blog post while linking to the source of course ;). That is, if thats ok with you.